I am the Senior Director for Antitrust Enforcement at the CMA. Together with Howard Cartlidge (Senior Director of Cartels and Criminal Enforcement), I head up the delivery of the CMA’s Competition Act 1998 portfolio. I want to highlight the great work we do across our Competition Act portfolio and to advertise the exciting opportunities to join our Antitrust or Cartels Groups. We are hosting an open evening in our London office, 10 October 2018. Please come along if you are interested in joining us and would like to learn more about our work. We play a central role in delivering the CMA’s CA98 cases, working closely with colleagues from our Legal, RBFA and Economics teams. Our investigations cover a range of potential Competition Act infringements, in a variety of sectors. The Cartels Group has successfully taken enforcement action against various cartels including fashion model agencies, residential estate agency services and suppliers of galvanised steel tanks. As you can see, our work is varied and incredibly wide ranging. I’ve worked at the CMA, and before that the OFT, for pretty much my whole career, and been involved in such a wide range of interesting and exciting pieces of work. What do the jobs entail? Our case work provides an exciting mix of analytical and practical challenges. It may be a cliché, but no 2 days are ever the same. You could be planning or carrying out a dawn raid, analysing and piecing together evidence, carrying out witness interviews, managing leniency applications or drafting key parts of Statements of Objections or Decisions. My team is as varied as the work we do, covering a huge breadth of skills and capabilities. I am an economist by background, but our team also consists of many lawyers, some of whom had no previous competition experience before joining us. We’re also looking for talent beyond law and economics, from a variety of other professions. We are passionate about making sure that consumers benefit from competition and ensuring they get a fair deal. Knowing the public will have more money in their pocket following an intervention is a real motivation. It is something that Michael Grenfell (the CMA’s Executive Director of Enforcement) is incredibly passionate about. You might want to look at some of his speeches on the CMA’s website. Flexible working and opportunities for career development are also key attractions, and help our staff manage their work-life balance effectively. We are committed to helping our staff develop too. Many of my colleagues have completed post-graduate diplomas in competition law or economics, which the CMA has helped to fund, and several members of the Antitrust and Cartels teams have started training contracts with the CMA’s legal service. I am particularly proud of how we have developed our ‘home grown’ talent with several of my director colleagues having joined the OFT as Case Officers. But we also welcome new joiners at all grades. This is a very exciting time to be joining the CMA. We have built a strong reputation internationally and Brexit will give us exciting opportunities to take on more large and complex cases. We are also expanding our office in Edinburgh and are keen to recruit further there. A role in our Antitrust or Cartels teams would appeal to a wide range of people. Whatever your skills, you’d be playing a vital role in delivering our work. 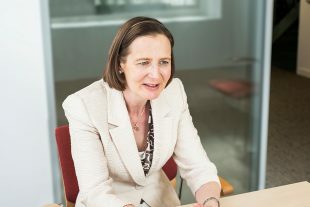 It would be an advantage to have experience of competition law and/or economics for the senior roles (at Project Director and Assistant Director), although we welcome applications for those positions from lawyers and others who have worked in a regulatory type role, with experience of running similar types of cases. The Principal Case Officer role has historically proved a good entry level for lawyers within the CMA. However, there is no need for applicants to have competition experience at either this level or at Case Officer level. We would be delighted to consider applications from analytical individuals who believe they meet the job specification. We are hosting an open evening in London, 10 October 2018. Please come along if you are interested in joining us and would like to learn more. How can we help people get a fair deal from consumer markets?